Texas Iron: Guns of the Texas Rangers is the not only the most comprehensive books ever published profiling the guns of the Rangers, but it is also the only book to tackle the subject. Chapters on seldom printed Texas Ranger badges, commemoratives, documented Ranger guns and more. There are 142 historical guns featured in its 202 pages. The introduction is by famous Texas Rangers, John Aycock, and the late Joaquin Jackson. 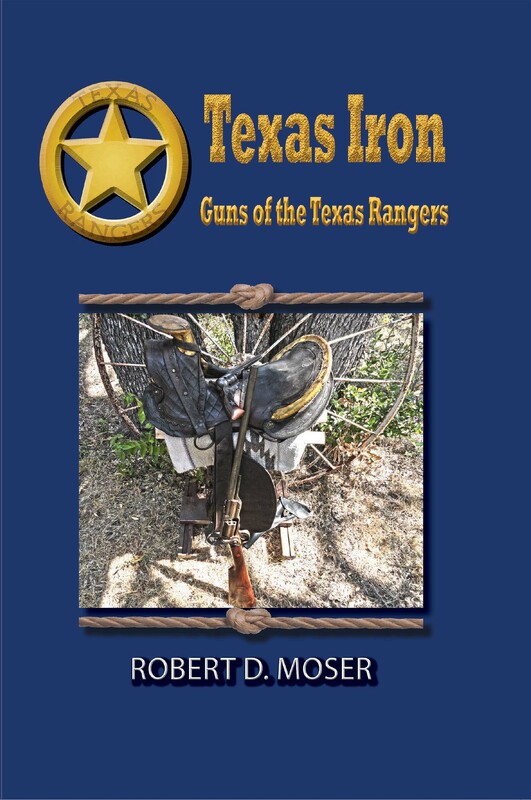 The first book to specifically address as a central subject the guns carried and used through time by the Texas Rangers, from flintlock of the colonial period to the Sig Sauers of modern times. It's a brief easy to read informative ground-breaking edition. This to be a must-have book for anyone interested in the legendary Texas Rangers, the guns they carried and their impact on Texas history.